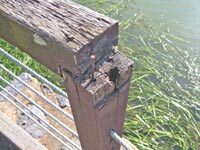 All timber handrails should be fixed from underneath as top fixing will eventually lead to maintenance problems. 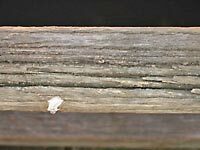 All commercial timber handrails are made from unseasoned Spotted Gum hardwood. Timber Handrails should be used in multiple spans for maximum straightness. Some of these handrail profiles are complex to manufacture and may only be available as part of a larger order. Please note that dimension changes cannot be made at all to many profiles. For those that can be altered changes require re-tooling which involves $500-$1000 of additional cost. Changes such as increasing the angle of the sloping top can cause the rail to be unstable due to differential moisture contents. Please discuss with Outdoor Structures Australia your specific handrail requirements prior to completing your project specifications.